HOW EXCITED I was to discover that there was going to be a documentary style programme about menopause on prime time TV, led by notable journalist and current affairs broadcaster Kirsty Wark. HOW DISAPPOINTED I was to discover that the programme was little more than an acknowledgement that the menopause is something all women go through, that it isn’t talked about enough, and that your best option for managing the symptoms is probably HRT unless you want to try wearing a little magnet in your knickers. It neither explored why women experience the many varied symptoms that they do, or why some suffer far more symptoms, of widely differing intensity, than others (there is a lot more to it than simply a drop in oestrogen levels! ), or what they can do about it. Apart from taking HRT or inserting a magnet into their knickers. I’m not knocking said magnet, by the way, as it is something I have no experience of and my feeling is that if the woman who talked about it in the programme found it helpful, and that her hot flushes were reduced, and she didn’t feel the need to take HRT, then it can only be a good thing. But I am knocking the fact that this was the only alternative to HRT mentioned in the programme. What about herbal medicine, for example, for which there is considerable supporting scientific evidence, not to mention female personal experience, to vouch for it. Or what an incredible difference diet and lifestyle changes can make. It was mentioned almost in passing – as the programme participants baked and scoffed an array of cakes and pastries – that a healthy diet was helpful. No mention of the damage refined sugar and saturated fat can do to our hormonal system, stress levels, BMI etc, though. And it was stressed that smoking and excess alcohol were bad. But there is so much more to be said (an understatement if ever there was one!). Starting with ‘What is a healthy diet?’ It’s astounding how many patients I see who believe they have one, but when we take a close look, it is not that healthy at all. It may be healthier than the diets of other people they know, but it is a long way from optimum nutrition. When it comes to diet and menopause, it’s important to consider, for example, foods containing substances called phyto-oestrogens, which can help reduce menopausal symptoms including hot flushes and night sweats, vaginal dryness and low bone density. Phyto-oestrogens are found in soy products, legumes (beans, peas & lentils), nuts, seeds (particularly flaxseed), grains, berries and other fruits. And to be aware that the body’s response to hormones is controlled by prostaglandins, which are derived from essential fatty acids found in oily fish, seeds and seed oils such as flaxseed and extra virgin olive oil. Hot flushes – one of the most common symptoms complained about by perimenopausal women – were discussed in Kirsty Wark: The Menopause and Me a lot, joint pain and osteoporosis, mood swings, sexual problems and insomnia were touched on. Specific dietary and lifestyle approaches can make a huge difference to all these complaints, especially when combined with herbal remedies. Herbal medicine works on an individual basis, because we are all different and we all experience symptoms and health problems for different reasons, warranting a bespoke mix of different herbs. To mention a few: Black Cohosh (Cimicifuga racemosa) often works particularly well in helping to relieve hot flushes and night sweats, and also helps maintain bone mineral density and protect against osteoporosis; Chaste berry (Vitex agnus castus) is a renowned hormone balancer, but can also influence melatonin levels and sleep patterns. There are many other herbs with similar properties and effects, and the key to success is finding the right herb, or usually combination of herbs, for the individual. Medicinal plants have scientifically proven therapeutic properties and actions, btw. We have herbs that are anti-hydrotics and so can help alleviate hot flushes; sedatives to help with anxiety and insomnia; stimulants to boost energy levels; herbs to help maintain bone density and strength, boost memory and concentration. There are also herbs that make excellent tonics for mucous membranes and are used in ointments, creams and pessaries to help lubricate and plump up vaginal tissue… The list goes on. And there are herbs that contain the aforementioned phyto-oestrogens found in many common foodstuffs, which act on the oestrogen receptors in our bodies. 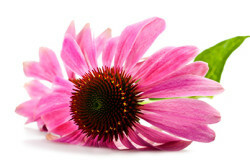 They are sometimes referred to as the natural alternative to hormone replacement therapy (HRT). I was disappointed that Dr Heather Currie, chair of the British Menopause Society and consultant obstetrician and gynaecologist at Dumfries and Galloway Royal Infirmary in Scotland, didn’t stress the importance of diet and lifestyle issues. 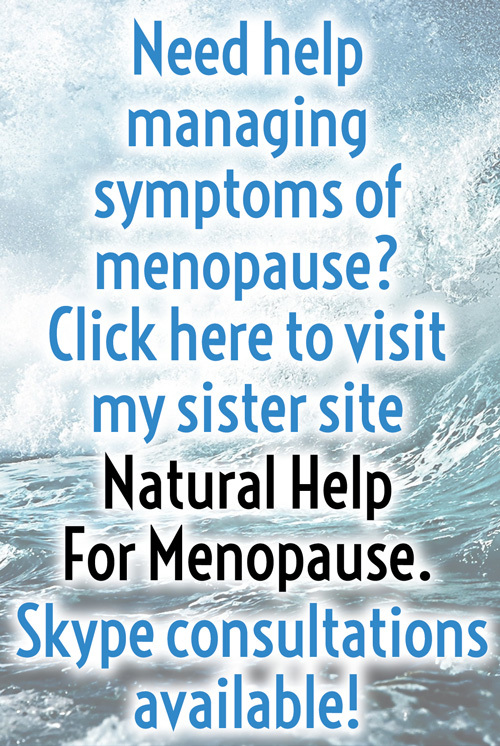 Although she is an advocate of HRT, as the editor of the Menopause Matters website and magazine she regularly features articles on natural approaches to managing menopause, and has run one written by me about herbal medicine. Our hormones don’t need replacing, they need balancing. And I am quite sure that HRT will eventually prove to be a big and very harmful mistake. I have followed all the arguments over the years for and against the safety of HRT, with past ‘evidence’ being contradicted, and new ‘evidence’ being brought to light, and feel strongly that nobody really knows the truth. Yet. If, as the Kirsty Wark: The Menopause and Me programme agreed, menopause is a natural and normal process, then why seek to subvert it? Trying to change the course of nature invariably leads to problems. Much better to work with nature, harness and feel rejuvenated by its power.